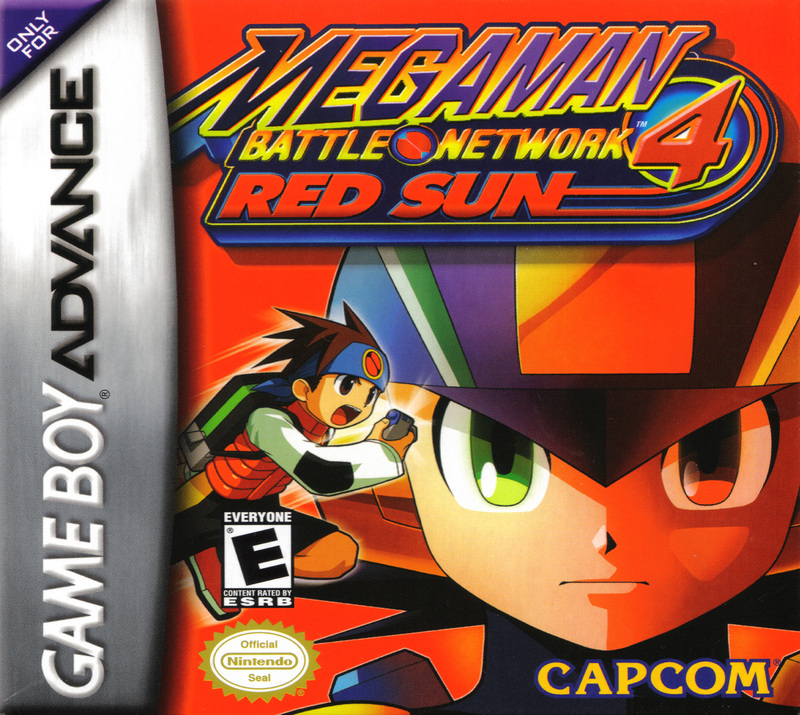 Mega Man Battle Network 4 is the fourth installment in the Battle Network series, and is available in 2 versions, being Blue Moon and Red Sun. This version, like most before it, bring changes to the gameplay of the previous version. In this version,new features, such as the DoubleSoul feature was introduced, which allowed Mega man to assume the powers of another navi temporarily. This feature resulted in the departure of the Style Change system, present in the game's earlier versions. Another feature introduced was the darkchip system, which was activated about halfway through the story, unleashed the tainted, dark side of Mega man, which were activated through anxious emotions, another new feature in the game. This gave Mega man the ability to use special chips, called darkchips (duh), for a short period of time, but results in a permanent loss of Hp (Health Points) every time it was used, and eventually a pulling of mega man to the darkside, where he is unable to have complete control all of the time. However, this feature is completely optional, and mega man can be "purified" through a special program if he were tainted by accident. Some of the old features retained from the older versions include the use of the navi Customiser system, where programs can be installed into mega man to give him unique features for both in and out of battle. Also, link battling and trading, an essential part of this Live-action/RPG is retained, for collecting all of the chips in the game, by trading through versions, each which has a unique set of chips, that are needed in the other version to complete the library. This page was last edited on 10 March 2015, at 17:19.